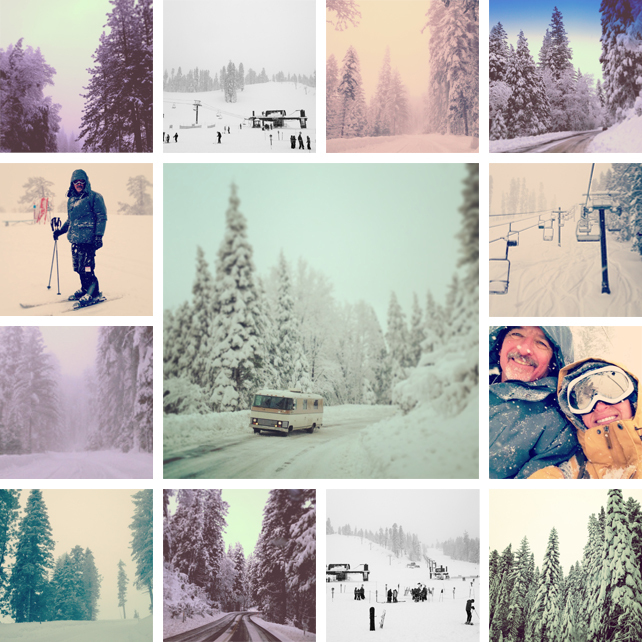 The day after Christmas my dad and I headed up to Badger Pass in Yosemite to enjoy some of the freshest powder we've ever ridden. It's crazy to me how un-crowded it still is up there, makes me not want to ride anywhere else. It was snowing all day, and pretty chilly, but so worth the trip. Yosemite is such a winter wonderland this time of year. I can't wait to go back! Thanks for joining me Dad!